This Cincinnati wholesale jeweler’s catalog boasts pages of rings and other jewelry, ceremonial medals, silverplate, and watches. Only a couple few pages of the catalog are in color, and this was one of them — a knockout example of the printer’s and engraver’s art with its lifesize views of E. Howard watches. Zoom in and see. 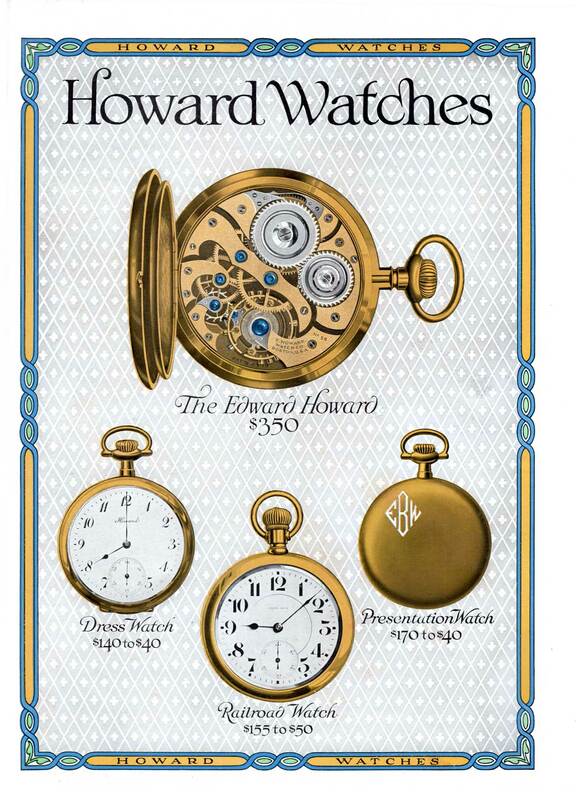 Edward Howard may not be a brand familiar to most of us, but it’s a company well known to horologists and collectors, with a long (since 1842) and fascinating history. Arguably known better for their full-size clocks rather than pocket watches, many century-old Howard clocks still grace courthouses, clock towers, and some old street corners. 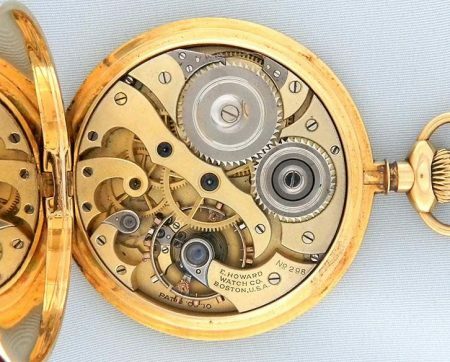 How accurate is that engraving of the watch interior? Very. 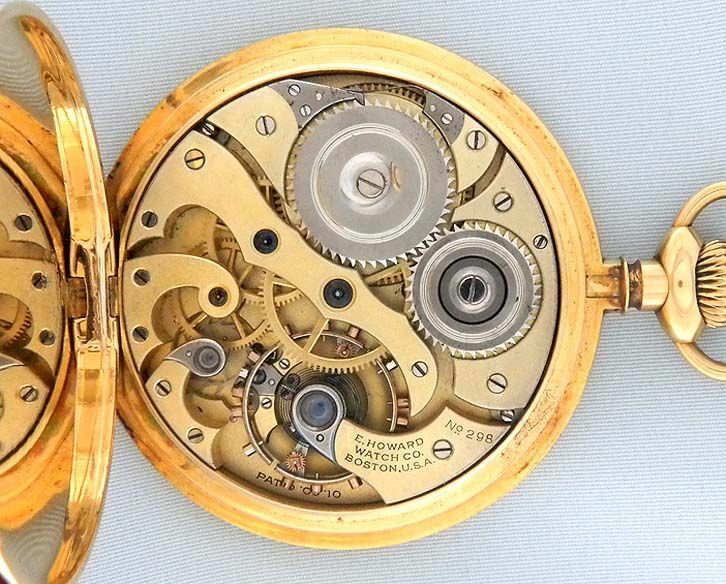 Here’s a photo of a similar watch from an auction a few years ago. You could lay the photo over the illustration and you’d have a perfect match. E. Howard the company long outlived Edward Howard the founder, going through multiple incarnations — even an attempt to blow up the factory in 1980. 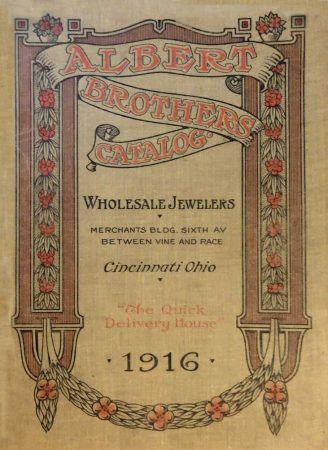 It was most recently absorbed into the Lacrosse Clock Company, which makes inexpensive wall clocks priced from $13 to $150..unfortunately, nothing you would expect to keep ticking for a century or more.